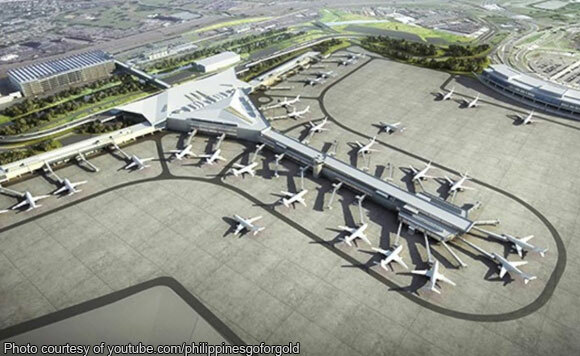 A party-list lawmaker has urged the national government to consider the proposal of business tycoon Ramon S. Ang and the San Miguel Corporation to build an airport in the province of Bulacan. ACT Teacher’s Partylist Rep. Aniceto Bertiz III said the construction of an airport in Bulacan might be the “optimal” solution to finally decongest the Ninoy Aquino International Airport (NAIA). “Besides Clark International Airport in Pampanga, a second alternate gateway in Bulacan would go a long way in easing the aircraft and passenger traffic buildup at the NAIA,” said Bertiz. The National Economic Development Authority (NEDA) Board recently approved the Ang’s ‘Unsolicited Proposal” for the Php 736 billion Bulacan International Airport project, with the confirmation subject to final review of the concession agreement’ of SMC. Thousands of airline passengers were recently stranded following the Xiamen Airlines flight that skidded off the along runway last August 16. The mishap has prompted a closure of NAIA’s runway and triggering flight delays and cancellations. Meanwhiel, Bertiz welcomed the Php 5,000 cash grant by the Department of Foreign Affairs (DFA) for Overseas Filipino Workers (OFW) who were affected by the incident. “The cash subsidy was made possible after Congress approved President Duterte’s request to increase the DFA’s Assistance to Nationals (ATN) Fund from Php 400 million to Php 1 billion for 2018,” said Bertiz.